Working as a teacher can be endlessly rewarding, not something everyone can say. Unfortunately, it’s not always the highest paid of jobs – making it difficult to get on the property ladder. This is especially true in London, where wages and houses prices seem to exist independently from one another. London is of course not the only place to live and work so below we’ve gathered some of the best places for teachers who want to get on the property ladder. The city boasts the highest quality of living for any place outside the UK, making a great location for anyone looking to achieve good work/life balance. Many of the schools are top performing and property prices are more in line with teacher’s salaries. It’s a very vibrant and multicultural place, making it a popular location for teachers who don’t want to give up a metropolitan lifestyle. 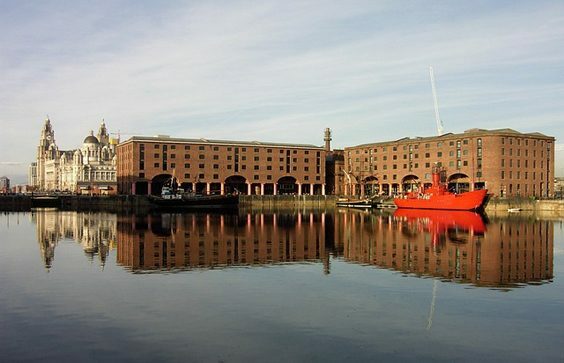 The fourth largest city in the UK, Liverpool is perfect ideal for anyone seeking culture, entertainment, and a chance at getting on the property ladder. It also has one of the top 20 schools in the UK, The Blue Coat institute, with 86% of pupils achieving between A*-B at A-level. The cost of living is generally cheaper compared to London, with no compromise in quality. Teachers with outdoorsy hobbies should look to Sheffield for its close proximity to the Peak District and all the beautiful greenery, perfect for long weekend walks and cycling. The schools in the area are improving rapidly and many are now rated ‘outstanding’ by Ofsted. The average price of a property is also much more in line with the average teacher’s salary so it’s definitely worth a consideration. This Scottish capital (top image) is 33% percent cheaper than London when it comes to living costs, helpfully, it’s also one of the most beautiful and historic UK cities. Besides the city’s picture-perfect image, it’s also home to one of the world’s leading universities and the annual Fringe Festival. Scotland is committed to providing excellent education to all children and is working hard on improving access and the standards of teaching, making it a great place to build a rewarding career. Anyone fancying the calm and breeze of the sea should consider Brighton. Whilst property prices can’t be described as affordable, there are still pockets of the city that could be suitable for teachers. The city has a strong sense of community plenty of vibrant nightlife to keep everyone entertained. Primary and secondary schools perform well, according to Ofsted, making it a great choice for different teachers. Getting on the property is not easy but a little research goes a long way in finding the ideal place to work and live. It’s important to balance the quality of schools, property prices, and the kind of environment you want to live in – thankfully the UK has plenty of places to choose from.